I love pizza night and keto approved pizza tastes ridiculously yummy! 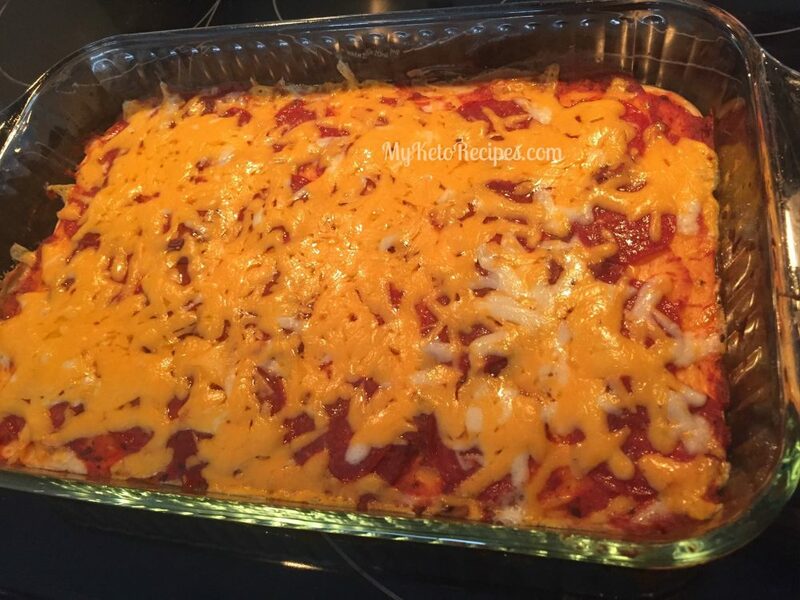 Deep dish, low carb pizza that the kids will love too! One of my all time, most favourite foods is pizza. I absolutely love eating it but tend to avoid it while I am trying to lose weight and stay healthy. Now I’m following a Ketogenic meal plan and I wanted to be able to still have pizza. All that melted cheese, meat and veggies is so delicious! I was having huge pizza cravings! So I decided to see if any of these low carb pizza recipes was any good. I was kind of scared they’d taste like cardboard! Thank goodness I found some great recipes that passed the taste test here at our house! I have a couple of different pizzas I make that are low carb and always a hit. This one turns out like a deep dish pizza. I make it in a casserole dish because it makes such a thick crust. If you don’t want a thick crust you should divide the dough into two pans (just don’t cook them quite as long). I make this one when I feel like having pizza with a thicker crust. You can refrigerate the leftovers and they are great the next day, either cold or warmed up. Now the important part- the TOPPINGS! You can use any toppings you like for this, the possibilities are endless! I always use a pizza sauce that is low carb and low sugar. This may be difficult to find depending on where you live because companies tend to put a lot of sugar in pizza sauce, unfortunately. Making your own, homemade pizza sauce is also an option. I hope you enjoy this recipe, and make sure you add lots of your favourite toppings! Any meats, cheeses, veggies are all low carb and keto approved so load it up! 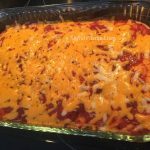 Spread into greased casserole dish and bake for 15 - 20 minutes. Can you use coconut flour instead of almond? What size package of cream cheese is needed?